Spring Break begs for a beach, so on our first full day in Florida for Spring Break 2011, we went to Siesta Beach on Siesta Key. We love visiting Siesta Key for its beautiful, award-winning white sand beach…and its beer! 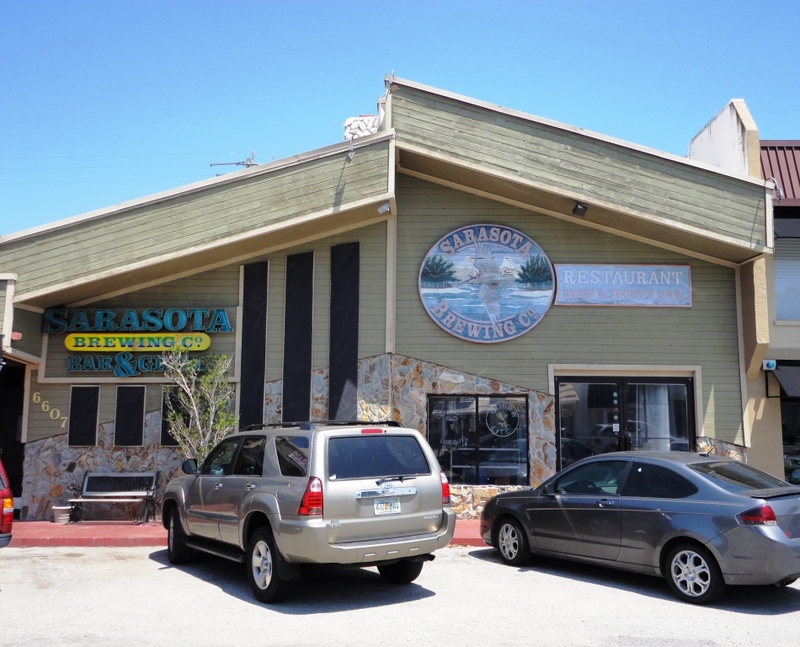 Sarasota Brewing Company is only 3 miles from Siesta Beach and the perfect place to stop for lunch after a morning of sunning on the exquisite Gulf Coast. We had gone to the beach with my sister’s family and they joined us for lunch, so there were eight of us in total, creating a lot of havoc. It didn’t help that there was only one waitress for the entire brewpub. She was pouring beers, serving customers at the bar, waiting on tables, taking food to customers, and otherwise running around like mad. The poor woman! Honeymeade Ale (7.0%), OK, finally, not a typical beer. This strong ale made with honey-caramel malt and real honey was delicious. Midnight Pass Porter (6.0%), this robust Porter is named for Midnight Pass Road on Siesta Key. The food was delicious – I had an awesome blackened grouper sandwich, and everyone in the party loved their food. I was still parched from the beach, so after my sampler, I ordered from their guest draft beer selections: Tangerine Wheat from Lost Coast Brewery in Eureka, California. I loved the citrusy flavor of this refreshing ale. Beth had a Sea Dog Blueberry Wheat. Siesta Beach/Sarasota Brewing Company is one of my all-time favorite family activity/brewpub combos!